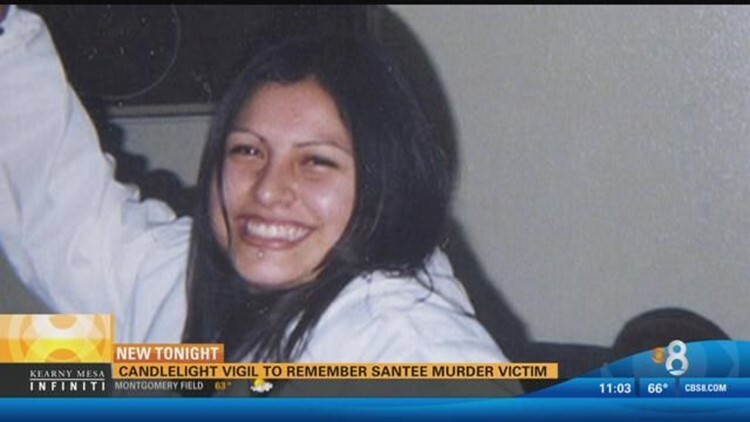 Family and friends on Tuesday night gathered for a candlelight vigil to remember Leticia Arroyo-Reyes who was found murdered in her Santee home one week ago. SAN DIEGO (CBS 8) - Family and friends on Tuesday night gathered for a candlelight vigil to remember Leticia Arroyo-Reyes who was found murdered in her Santee home one week ago. During the candlelight vigil, Leticia was remembered as a loving sister, daughter and aunt whose generous spirit will continue to live on. While investigators have yet to name any potential suspects in the case, Leticia's family is demanding answers. "Words cannot describe losing someone like this - it's still hard to believe," said Leticia's brother Steven Chavez. Last Tuesday, Leticia's roommate called 911 shortly after 10:30 p.m., and told dispatchers she [Leticia] was unconscious and had suffered some type of trauma to her upper body. Deputies and paramedics sent to the home on Mission Greens Road near Mission Gorge Road arrived to find her dead, sheriff's Lt. Kenneth Nelson said. "Based on the circumstances surrounding the incident, detectives are investigating the case as a possible homicide," he said. As Leticia's loved ones grieve, the hunt for her killer continues - her cause-of-death ruling was being withheld because of the ongoing investigation. Her brother Steven said his family will not rest until his sister's killer is caught. "We are not going to stop until justice is served. You don't get away with something like his," he said. A special softball tournament fundraiser to help Leticia's family pay for funeral expenses is scheduled for Sunday at 11 a.m., at the Lemon Grove Little League Field - everyone is invited to take part. A GoFundMe page has also been set up for donations. Anyone with information on the case was asked to call the sheriff's department at (858) 974-2321 or after business hours at (858) 565-5200. Anonymous tips can be submitted by calling Crime Stoppers at (888) 580-8477.